Mrs Bishop's Bakes and Banter: Top Christmas Cards of 2014: *REVIEW* & *GIVEAWAY* WIN A BeautifulFramed Print By Sophie Morrell worth £30. 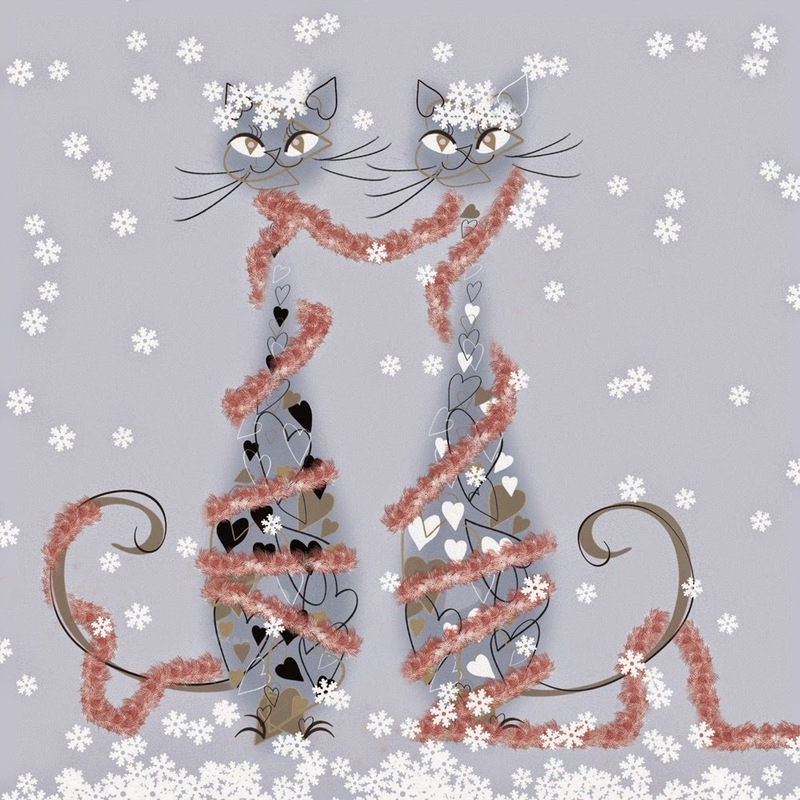 Top Christmas Cards of 2014: *REVIEW* & *GIVEAWAY* WIN A BeautifulFramed Print By Sophie Morrell worth £30. I absolutely love this time of year and all that goes with it - the decorations, twinkly lights, Christmas music, delicious food, and of course all of the Christmas shopping and card buying you have to do. 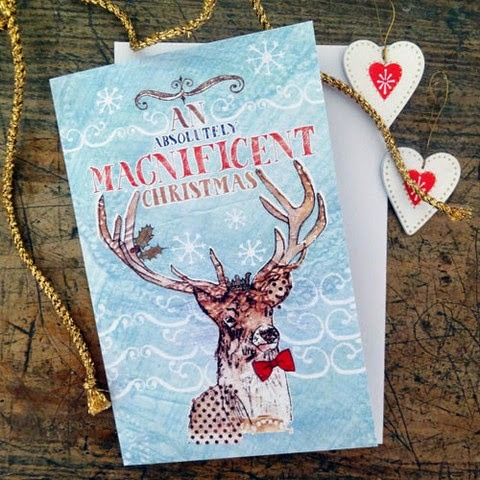 Today on the blog I'm going to share with you my very favourite Christmas cards on the market this year. I've had great fun selecting these brilliantly quirky cards to feature on the blog - I hope you love them all just as much as I do. This year I am determined to support independent artists, illustrators and shops when choosing which presents and cards I give. All of the cards featured in today's post are there because I truly love and appreciate the incredible talent of these designers, and the final products they have for sale. 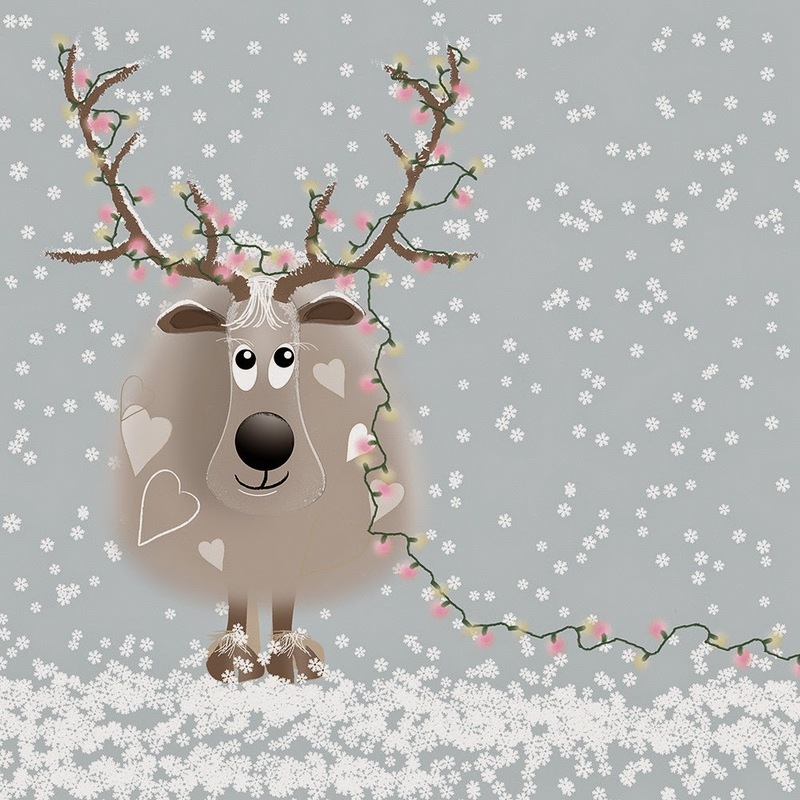 I love to think that all of the artists featured in this post will benefit from me sharing the Christmas love and featuring their designs on my site, so come on, support independent artists this Christmas and purchase some of these brilliant cards! 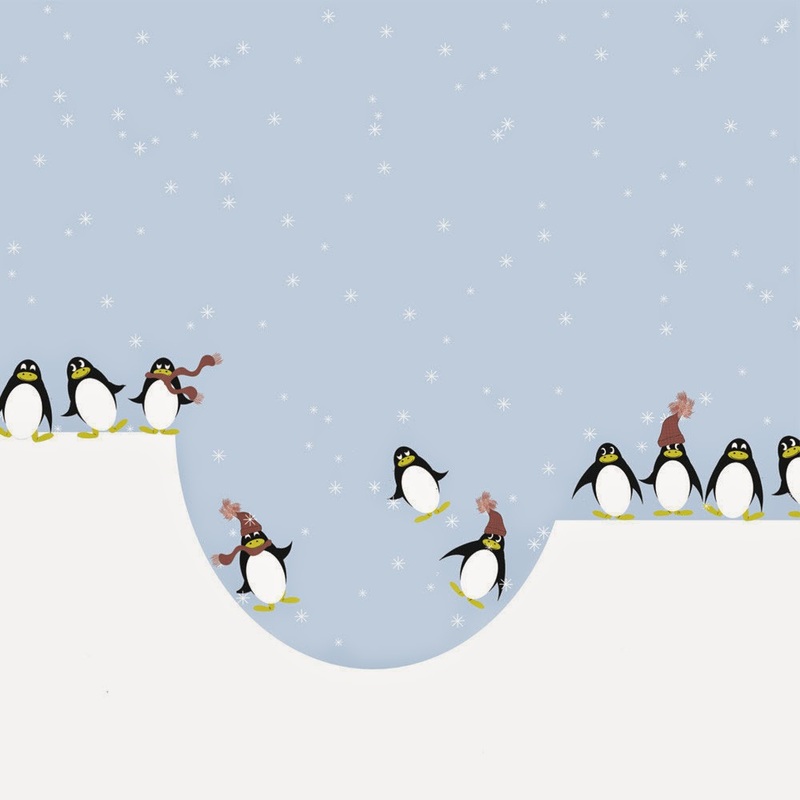 There's still plenty of time to order your cards and get them in the post in time for the big day! 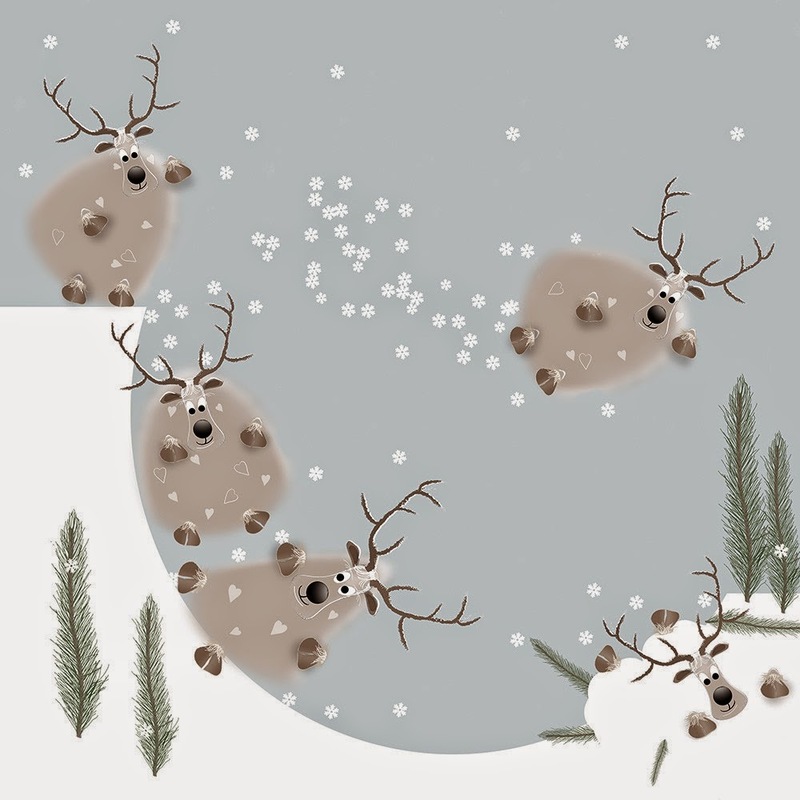 I absolutely adore these beautiful cutout reindeer cards from Sally Rendel - they are so quirky and original - I'm mad for a paper cut, so when I saw these I instantly fell in love! 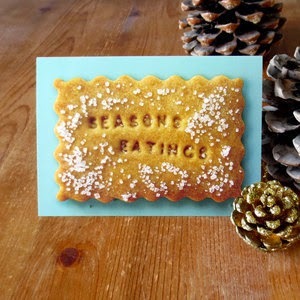 I've never seen a Christmas card like this before and I know it is a card that will turn heads for sure this Christmas! They are available from her Etsy shop Fuzzy & Beakle in packs of 6 priced at £13.50. She also makes Elf, Snowman, Father Christmas, Holly and Angel laser cut cards - go and check them out they really are super cool! 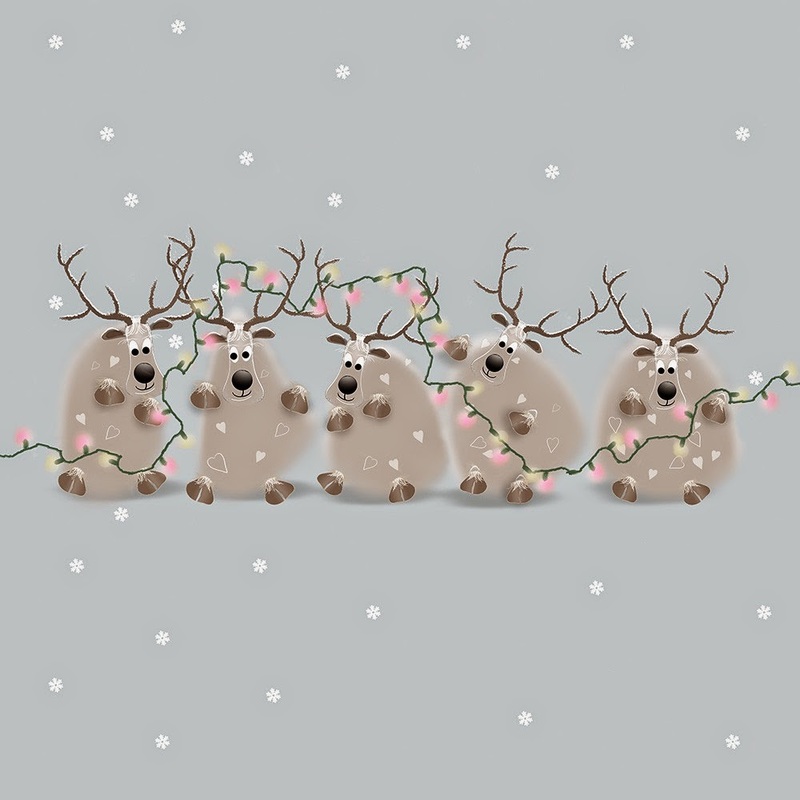 These cards make me smile so much - and what more do you need than smiles this Christmas? 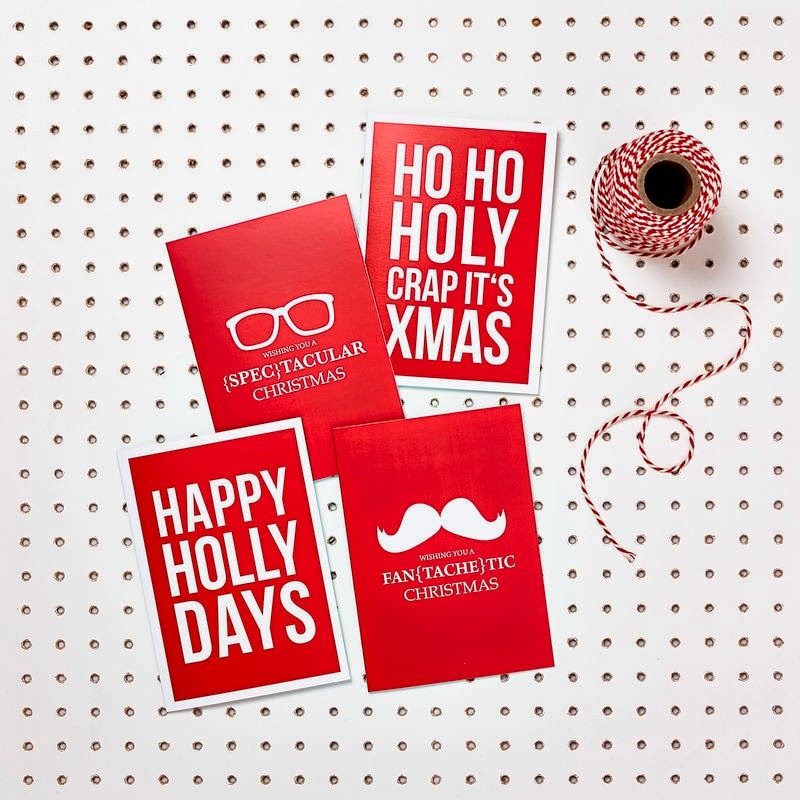 Fun and definitely living up to their name of "decidedly different", these hilarious slogan cards will bring festive cheer to any household. 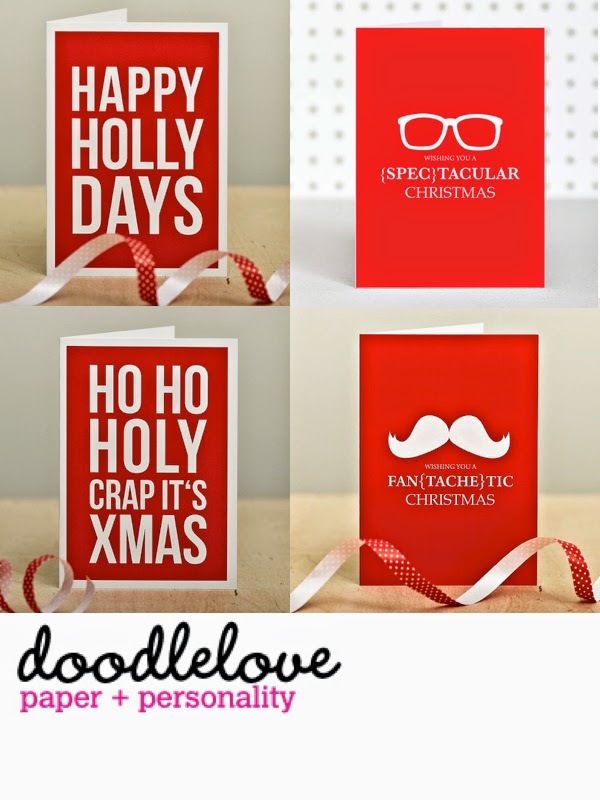 Lela from doodle love definitely lives up to her tag line of 'paper + personality' with these great designs. 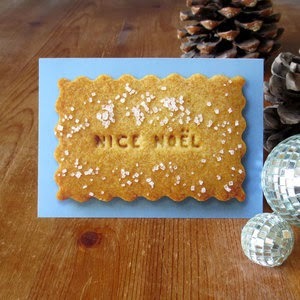 I am a MASSIVE fan of Nikki McWilliams' biscuit inspired empire: from her fab cushions, to her adorable stationary and jewellery, there isn't a single item on her site that I wouldn't love to receive this Christmas. 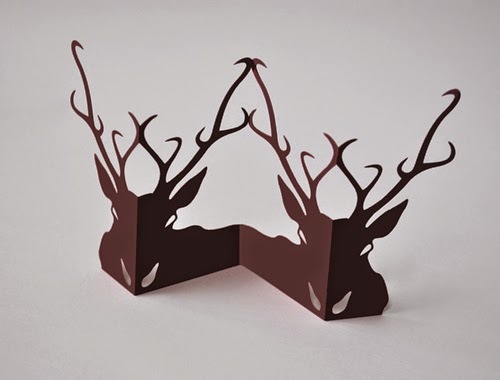 Beautifully illustrated personalised 'Magnificent Christmas' stag cards from Alice Palace. 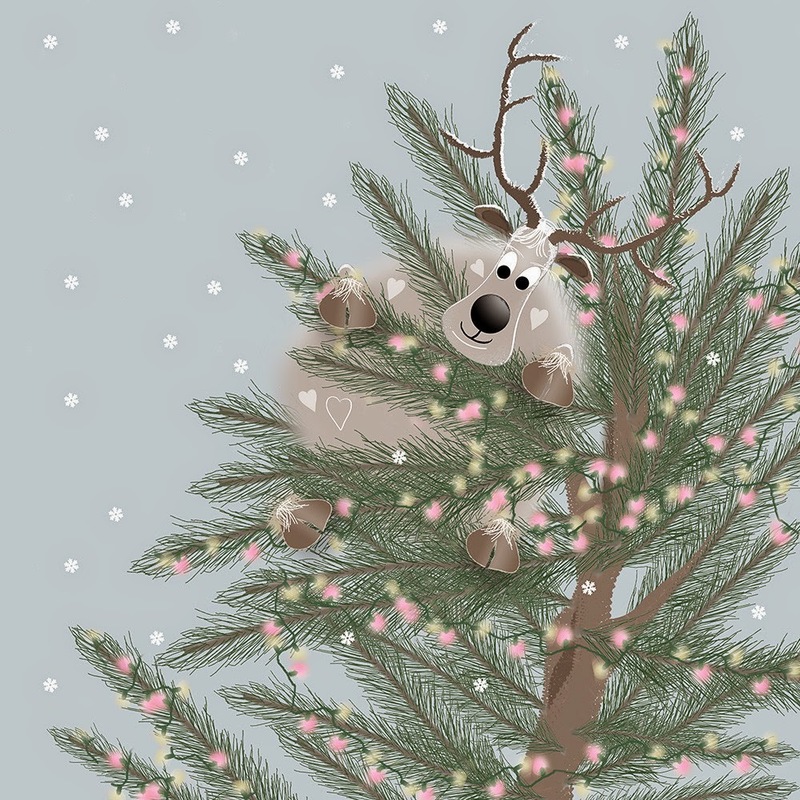 Alice has illustrated the most stunning collection of Christmas cards for 2014. 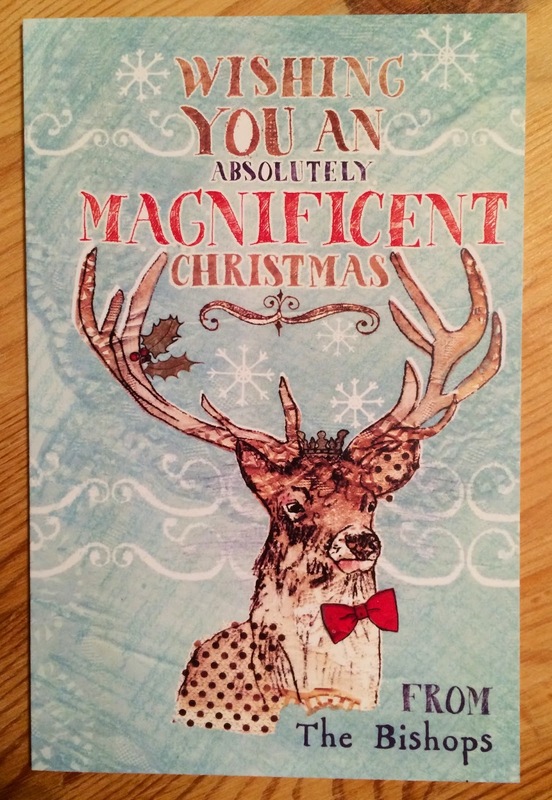 I just love her 'Magnificent Christmas' stag card, and the personalisation available makes these cards simply perfect. I love adding that personal touch with the "FROM The Bishops" printed at the bottom: her cards are a beautiful way to add a touch of class to your personalised cards this holiday season. 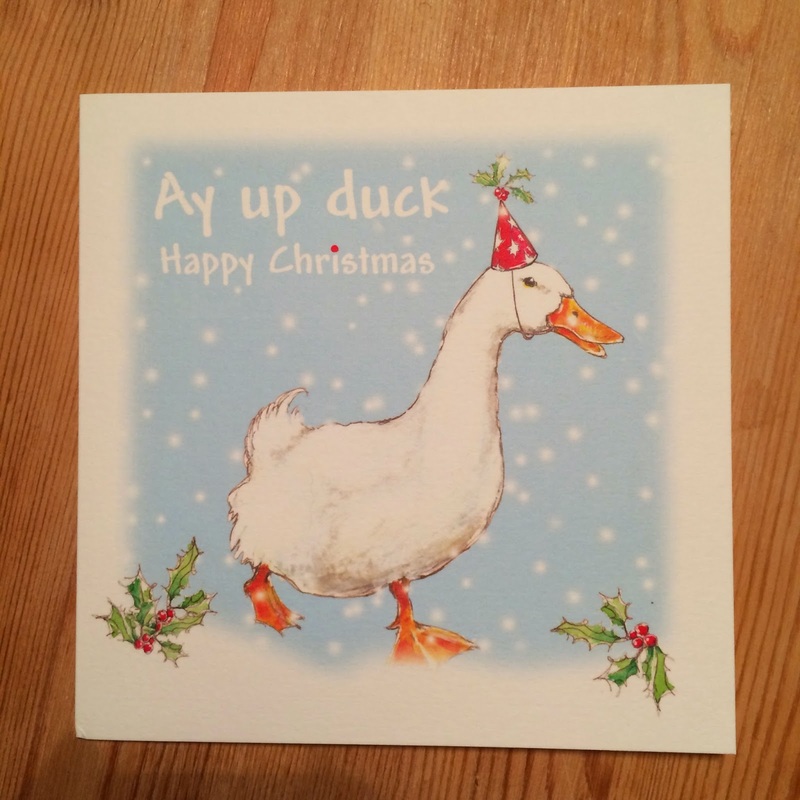 I am just overjoyed by these 'Ay Up Duck' cards from Little Shed Designs. My little son Bert is completely obsessed with ducks - "duck" was his first word, and he is at his happiest when we go and feed the ducks at our local country park - he laughs, sneakily eats the bread himself, and shouts "DUCK!" at the top of his voice, much to my amusement! 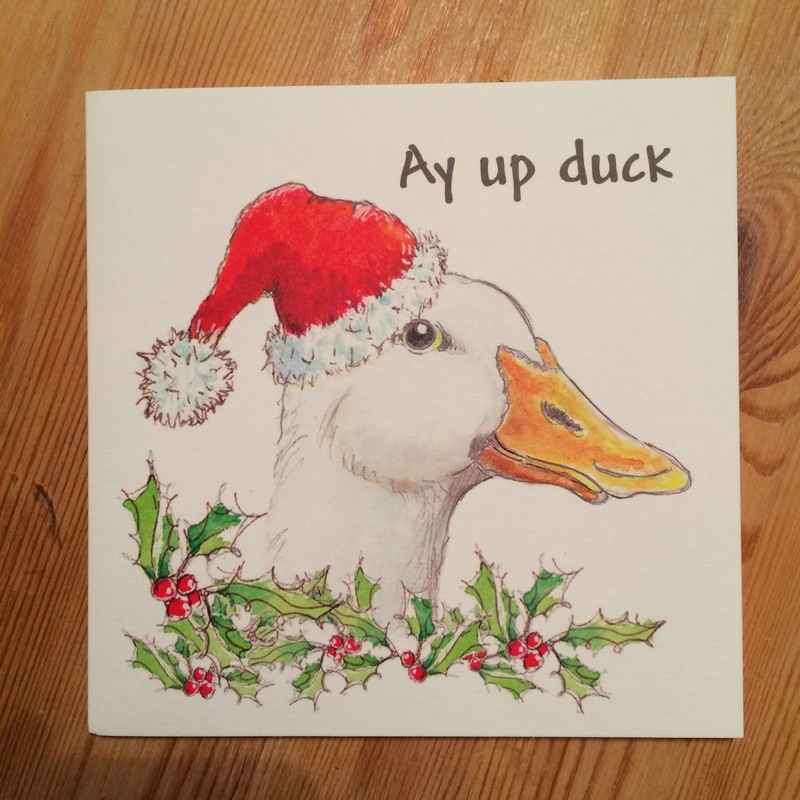 When I saw these "Ay Up Duck" cards by Little Shed Designs I fell completely in love with them...who wouldn't love a duck wearing a Christmas hat on their mantlepiece this Christmas? Ay Up Duck cards are priced at £3 including postage and packing. 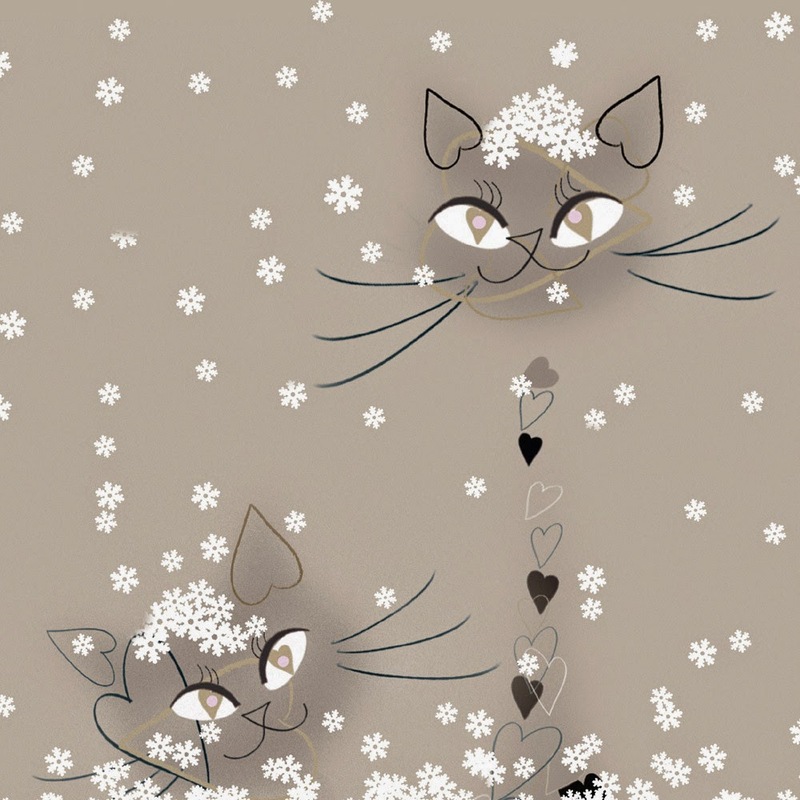 For all you cat lovers out there, if you haven't discovered Tatty Puss yet then where have you been? 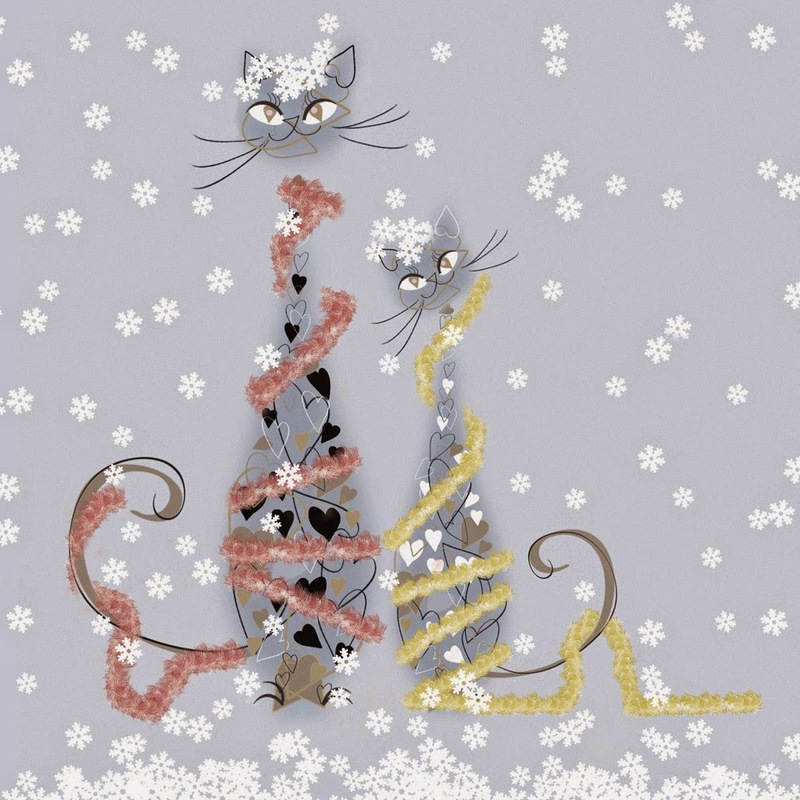 This fab online shop is dedicated to all gifts cat-related, and they have a brilliant selection of cat themed Christmas cards available this year designed by the very talented Jane Crowther. 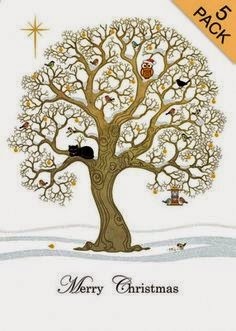 Cat in Tree with Birds - I love the little owl with her festive santa hat on! Such a cute design! 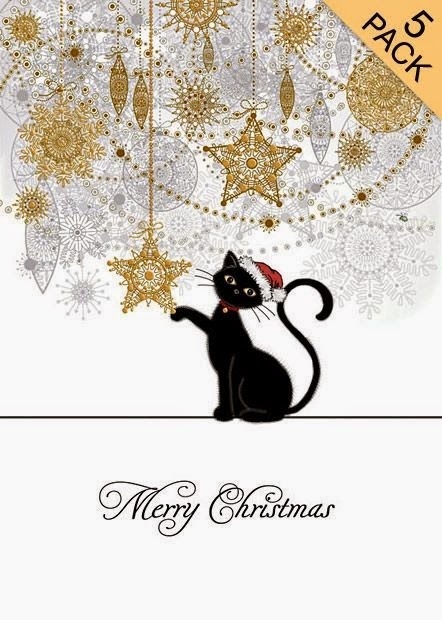 Just like my own cat this Black Cat & Christmas Decorations design reminds me of my inquisitive little puss, and how much she loves to bat baubles all over my house during the festive period! 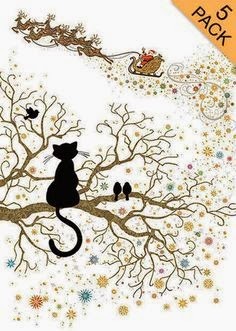 Black Cat Watching Santa - I love how the cat is nestled in amongst the tree with his birdie friends! 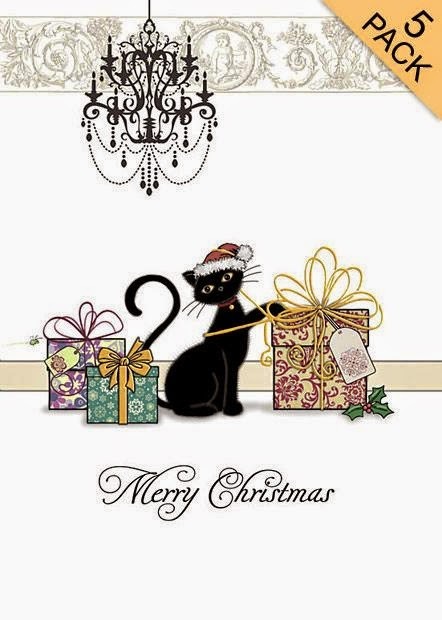 Black Cat with Christmas Presents - I can't help but think that my presents wouldn't remain remotely as neatly packaged as the beautiful ones on this card if Pickle-Lily had anything to do with it - she's a sucker for a length of ribbon! 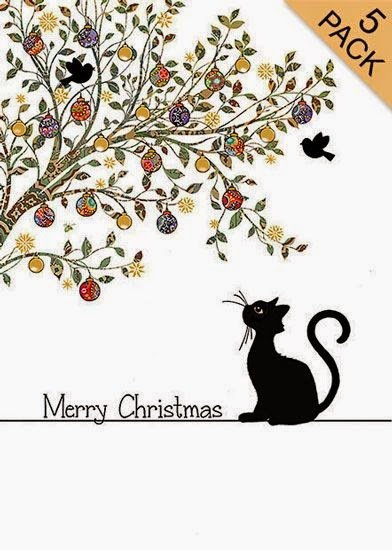 Who could resist this Black Cat & Baubles design? All of the Black Cat cards come in packs of 5 for £5.50. I think Richard's designs are so cheerful and funny - every single card in his collection brings a smile to my face - his cute characters are nothing short of adorable, and I love the titles he gives his works, such as 'Mint Sauce' and 'Pierced Dear'. Just brilliant! 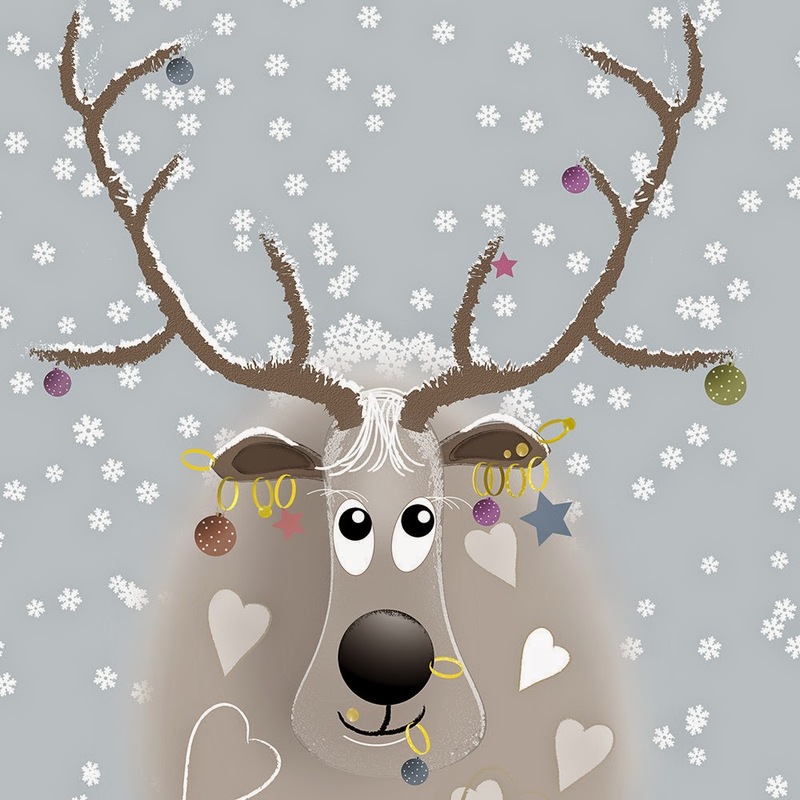 Richard has even more designs available in his Christmas Cards Collection over on the Sophie Morrell website - be sure to take a peek. 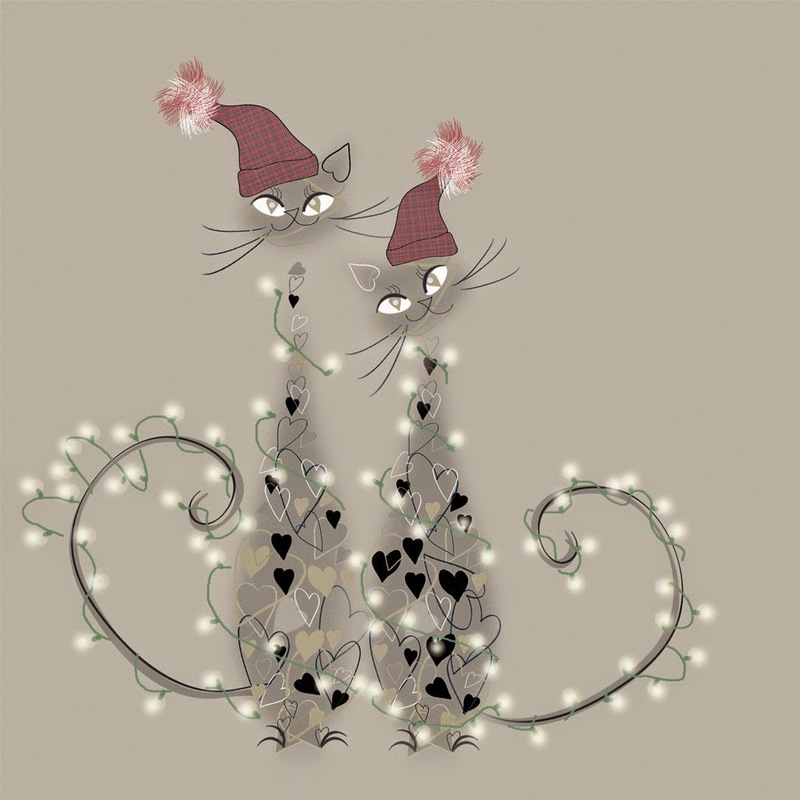 Sophie Morrell cards are priced at £3 each, but if you buy more than 6 cards they cost just £1.25 each - so why not order in bulk and save yourself a pretty penny or two! 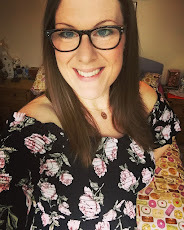 THE PRIZE: One of my lucky readers can win a stunning Sophie Morrell framed print of their choice (up to the value of £30) from the Sophie Morrell website, just by entering the Gleam giveaway below. The giveaway will run until 31.12.14 and your prize will be posted out in the New Year directly from Sophie Morrell. 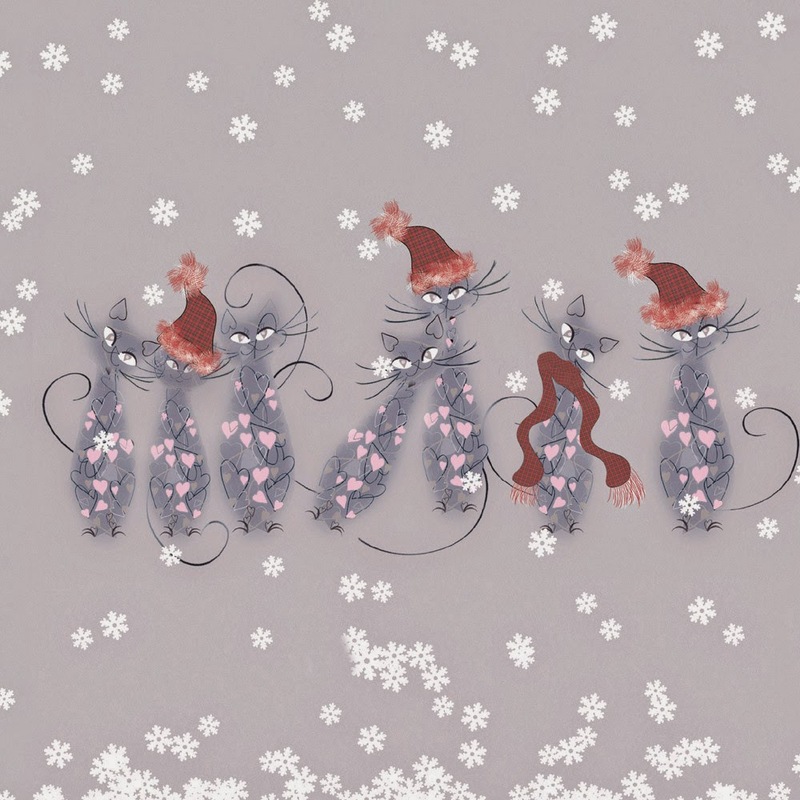 Disclaimer: I was sent cards from Sally Rendel, Doodle Love Designs, Alice Palace, Little Shed Designs, Tattypuss and Sophie Morrell for the purpose of this review. 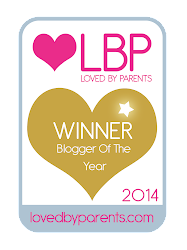 A huge extra thanks goes to all at Sophie Morrell for supplying such a beautiful giveaway prize for my readers. 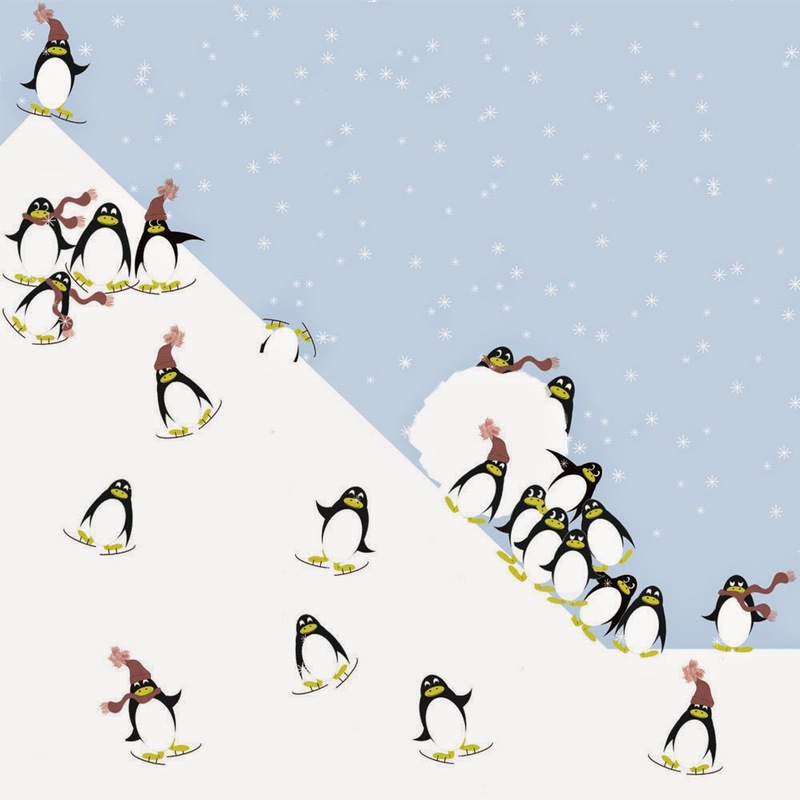 I would choose the penguin pile print! They are all so lovely, but I would pick The three wise owls! i love the snow cats ones!! I would choose apple crumble in a cream frame! I might change my mind, but I quite like Three Wise Guys atm. Beach Huts is nice too but over the £30. 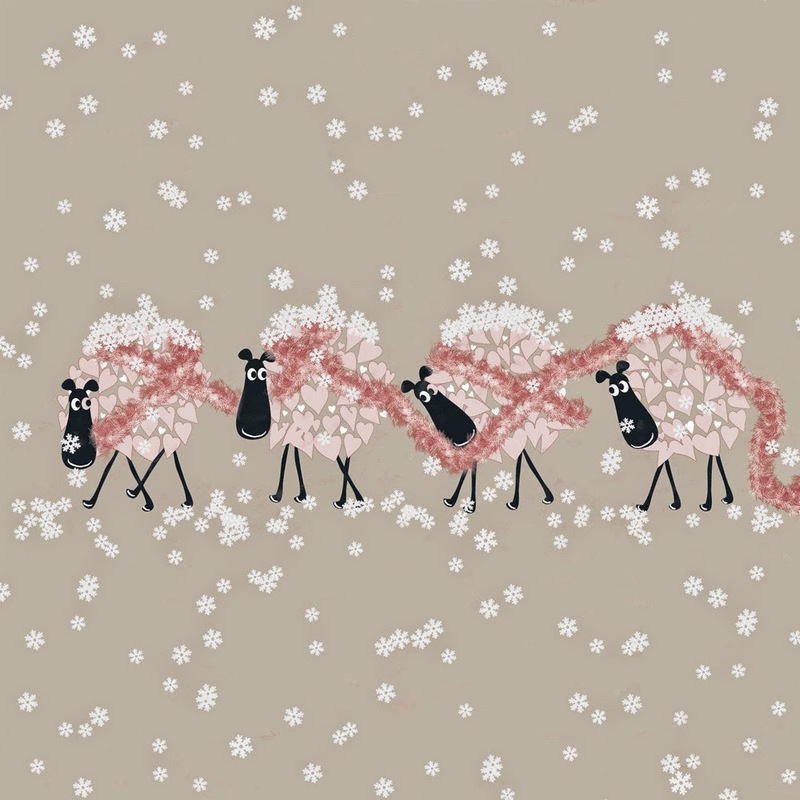 definitely the Flock of Sheep - quirky and lovely! Chocolate & Chip are my favourite. I love Kitten Hearts. I would pick that one. I would choose the Lemon & Meringue because they look like a cheeky pair! 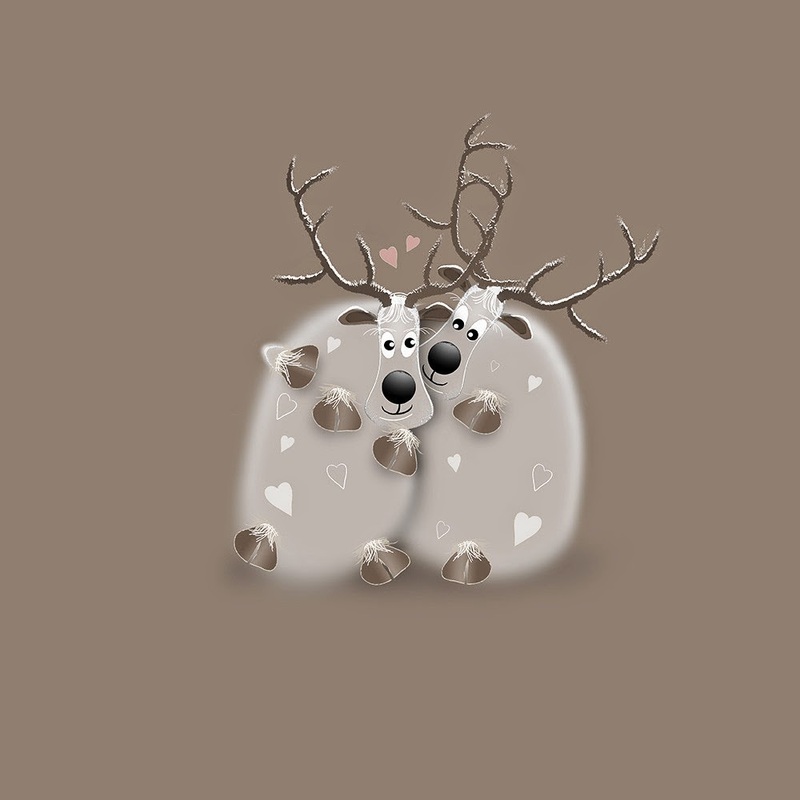 Kiss Dear in the white frame :) How gorgeous! I love the beach huts! 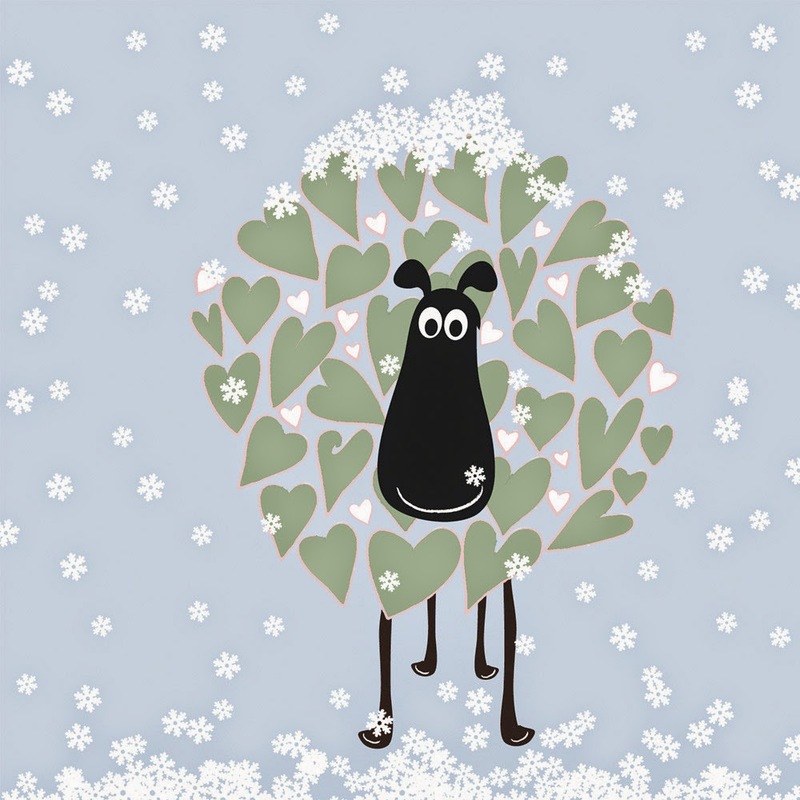 I adore Flock, it is a really cute print.